Good website performance is becoming a top priority for many webmasters. This is because it gives the users of your site a better experience. It also helps your ranking in search engines, which may offer you more free traffic from them. If you have an e-commerce site, several studies have shown that a faster website can increase the sale conversions, thus revenue! Understanding the building blocks of your website will make sure that it can scale in popularity while keeping it stable and fast! The first section of the book gives an overview on what to look for in a web hosting company. Where should you host your site and with whom? We will give you an overview of the alternatives and show you how you can choose the best solution for your specific use case. After having chosen a webhosting package and server, we will install a Linux-based OS on our server. We’ll guide you through choosing and installing the right Linux distribution. We will also focus on tuning the OS for performance and scalability. Making your server and website secure (via HTTPS) is a hot topic since Google announced it can positively impact your Search Engine Rankings. We’ll describe how to enable HTTPS and secure connections to your website. We’ll also explain technologies like SPDY, HTTP/2 and CDN and how they can help you to make your site faster for your visitors from all around the world. 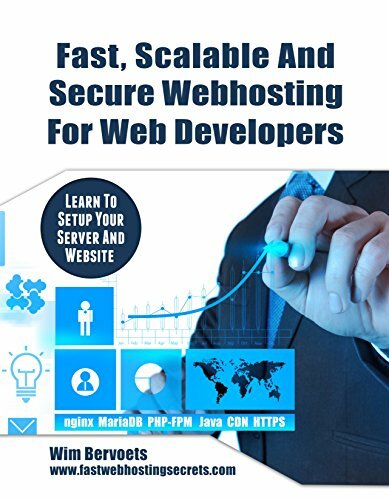 FREE Ebook Chapter: Make your site secure with HTTPS – Download it at http://www.fastwebhostingsecrets.com/ !